It’s not very uncommon to see a person wearing a Rolling Stones tongue logo shirt until I came across this cool photo of John Lennon wearing his very own Rolling Stones shirt. The Beatles and Stones were of course good friends but seeing Lennon in the shirt caught me off guard. 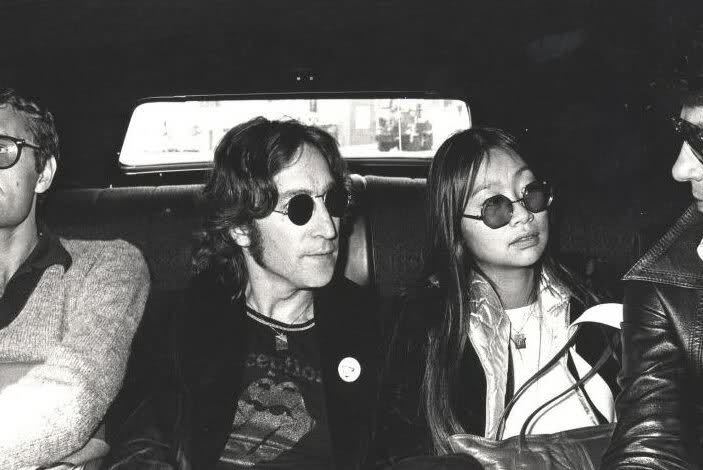 The photo was taken in 1973/1974 Los Angeles during Lennon’s “Lost Weekend” with then girlfriend May Pang. For the life of me, I can’t find a photo of Lennon with his blazer open in order to clearly see the writing above the tongue logo. My guess would be “RECEPTION”. If anyone knows what that means in regards to The Rolling Stones please leave a comment and lets us know.